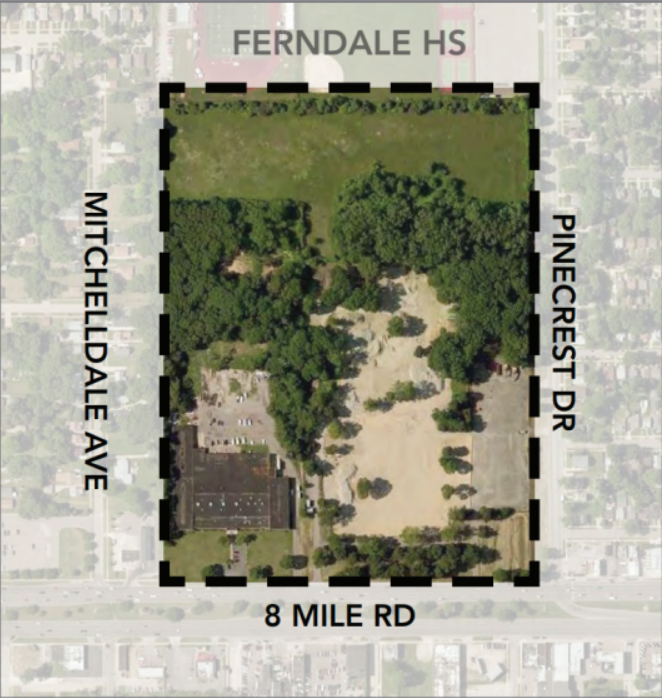 The City of Ferndale is considering a development proposal to build mixed residential housing at the northern portion of the vacant Hayes-Lemmerz site and mixed-use/light industrial at the southern portion of the vacant Hayes-Lemmerz site. Next steps include the formal site plan submission for Planned Unit Development (PUD) to Planning Commission for approval. If approved by Planning Commission, the next step is City Council approval. How can I review the documents for this project? There is a copy of the environmental reports as provided by the development team, as well as key contacts available at the Ferndale Public Library. Otherwise, there is a set of key project links found on the right side of this page. Can't find what you are looking for? Feel free to contact the CED Department at ced@ferndalemi.gov. How does this updated version differ from the first versions?Original versions of the design included single family housing in the R-1 zoned parcel (north part). This design was largely suburban in nature. Following community engagement and feedback, the design has been updated to include a pedestrian, non-motorized pathway between the north and south parcels, mixture of housing types and styles, mixed-use and light industrial in the southern half of the property. 1600 W. 8 Mile Rd.